When most of us sign up for insurance, we don’t really look closely at the paperwork. We often take it on faith that the insurance agent tells us we are covered, we sign the necessary papers, and begin paying the premiums. However, you can learn quite a bit if you actuallyÂ read your insurance policy. And you really should. Otherwise, you might end up with a few unpleasant surprises. Do you know how much coverage you actually have? If you are in a car accident, your insurance company won’t pay out an unlimited amount of money. Instead, you are subject to limits. Find out what those limits are, and what they apply to. The amount of liability coverage you have often differs from the amount of money the insurance company will pay if you are the one injured in an accident that is your fault. Likewise, you want to double-check the coverage amounts listed in your life insurance policy, homeowners policy, disability policy, and other policies. Make sure you really know how much coverage you have. As your assets increase, you might need to boost your coverage. $20,000 in disability coverage might have been sufficient for your family 15 years ago, but what if you have a better job now, and the lifestyle inflation to go with it? As your home increases in value, you might want to increase your homeowners coverage to reflect the new situation. Check your policies, and determine if you still have adequate coverage. It’s natural to assume that any damage to your home is covered by your homeowners policy. However, this isn’t always the case. There are some things, like flood damage or earthquake damage, that aren’t included in your homeowners policy. If you want this protection, you have to buy extra coverage. Additionally, some treatments and conditions might not be covered by your health insurance policy. When you go to receive treatment, you find out that you will have to bear the cost yourself. 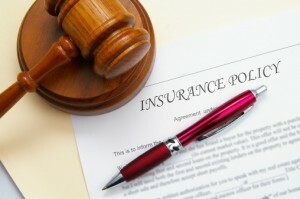 Read your insurance policy to find out what is really covered by your policy. It’s important to understand these items, since without this knowledge you might not be prepared for unfortunate circumstances, whether it’s the fact that a life insurance policy may not cover suicide, or that your dental coverage doesn’t kick in until after you’ve paid six months of premiums. When disaster does strike, you’ll want to know who to call. Your insurance policy has that information, usually near the front in a spot that’s easy to find. Being able to contact someone when you are faced with a difficult circumstance can help, and it can get the ball rolling on your claim. The earlier you call, the faster the situation can be resolved. Your insurance policy can give you an idea of where to turn, whether you need to get pre-approval from your health insurance provider for a procedure, or whether you need someone to assess the damage to your car after an accident. Keep your insurance policies in a safe place, where they are protected. A good choice is a fireproof and waterproof safe. You want to protect these documents, since they spell out exactly what you can expect from the insurance company, and they hold the keys to how much protection you have for your assets. What else can you learn from your insurance policy? Leave a comment!